Stretching your own canvas rather then buying pre-stretched frames is a cost-effective way of creating unique artwork. Pairing different sizes of stretcher bars together, you can make a frame that suits your artistic vision & not artwork that fits a pre-stretched frame, for a fraction of the cost. 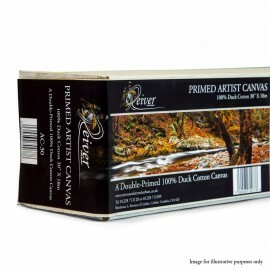 Primed Artists Canvas Roll - 30"